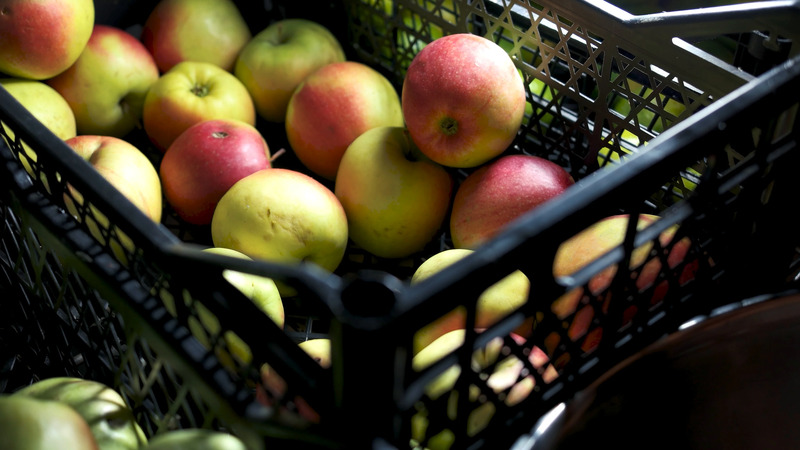 Hand Taking Apples From Crate. Description: Hand taking apples from crate. Ripe juicy fruit. Most profitable fruits to grow.